Esther Lange, widow of Rev. Burton Lange, passed away at 9:15 pm on Monday, December 28, 2015. Sons Roger and Jerry were praying around her bed as she took her last breath. 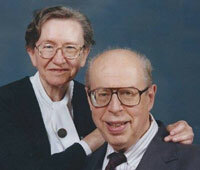 Esther and Burt served 58 years in United Brethren pastoral ministry–in Kansas, Indiana, Virginia, Maryland, and Pennsylvania. Burt passed away June 22, 2015. Funeral details for Esther will be posted when available. 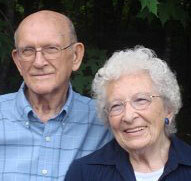 29 Dec Obit: Doris Malson, wife of Rev. Charles Malson, Sr. Here are the funeral details for Doris Malson, who passed away on December 24. Visitation: 3-6pm on Saturday, January 2, 2016,. Visitation location: Mt. Hope UB church Fellowship Building, 5011 Mt. Hope Road, Carson City, Mich.
Memorial service: 3pm Sunday, January 3, 2016. Memorial service location: East Washington UB church, 8051 S. Crapo Road, Ashley, Mich. (corner of Crapo and M 57 just west of Ashley). Visitation one hour prior to the service. Rev. Steve Malson, a son, will officiate. Doris M. Malson was born August 17, 1923 in Lansing, Mich., the daughter of Fred and Bessie Crowl. She was a good student, athlete, and president of her class the last three years in high school. She and Charles F. Malson met and fell in love at Camden High and were married after graduation in the fall of 1941, a couple weeks before the attack on Pearl Harbor. They were married for 73 years. Charles preceded her in death in 2013. Doris is survived by her children Beth and Lee Palmer, Cathie Kesler-Collins and Tom Collins, Chuck and Kate Malson, Patsy and Trent Bushnell, Steve and Jody Malson, Mary and Doug Streeter, by 19 grandchildren, and a growing number of great-grandchildren. Doris’ life was manifested by her love for Jesus, her devotion to Charles, her family, and a host of those who loved her as family. She spent her life caring for others and was proud of how many were unofficially adopted into the Malson clan. She cooked for camps and conferences at the Carson City Christian Camping Center. She readily hosted people for meals. Visitors knew that they would be offered ice cream and her famous homemade chocolate topping and/or homemade donuts even if it were a drop-in visit. She served alongside Charles at Brown Corners UB church in Clare, Mich., 1952-1957, and at Richfield Road UB church in Flint, 1957-1982. Dozens consider her to be Mom or Grandma. Doris traveled extensively with Charles, who was fulltime superintendent of Michigan Conference 1982-1991, when he retired. Doris and Charles visited various countries while serving on the denominational Board of Missions. 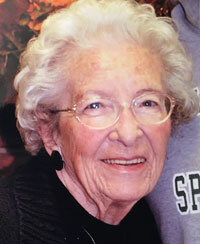 She was president of the Michigan Conference Women’s Missionary Association for several years. While in the Carson City area, they were faithful members of the Mt. Hope United Brethren in Christ Church. She and Charles believed in giving back to the community where they lived. They volunteered at Carson City Hospital for more than 25 years, developing many community friends while helping to create a wonderfully welcoming atmosphere as people registered. Carson City Christian Camping Center, 10890 Easy Street, Carson City, MI 48811. Greater Lansing Youth for Christ, 5222 Dumond Dr, Lansing, MI 48917. Samaritan’s Purse, PO Box 3000, Boone, NC 48607. Doris Malson passed away at 6:30pm on Christmas Eve. She had suffered a massive stroke on Friday, December 18. Are you, or is your church, looking for a Christmas missions project? 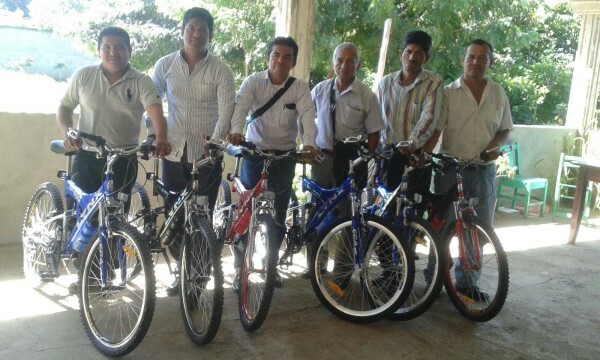 How about providing a bicycle to a pastor or church planter in Nicaragua? Brown Corners UB church in Clare, Mich., has already made it possible for six pastors to receive bicycles so they can minister more effectively in their rural communities. Three more pastors would benefit from having a bicycle. The entire cost for three more bicycles is $500. Last month in Hong Kong, the Lausanne Movement held an historic gathering of 900 Chinese leaders for the launch of the Mission China 2030 vision. This vision is to see 20,000 missionaries sent out from China by the year 2030, one for every missionary received by China in the past 200 years. The seeds of this vision were planted when more than 200 Chinese leaders were prevented from attending the Cape Town 2010 Congress. The vision took root in 2013, when many of those leaders and leaders of the global church were able to meet in Seoul. Michael Oh, Executive Director and CEO of the Lausanne Movement, reports that two hundred of those who attended the gathering in Hong Kong committed their lives to serve as missionaries! The United Brethren in Christ is a part of this vision as our Hong Kong conference is preparing to send Julie Hui (right) to join our international team in Chiang Rai, Thailand. 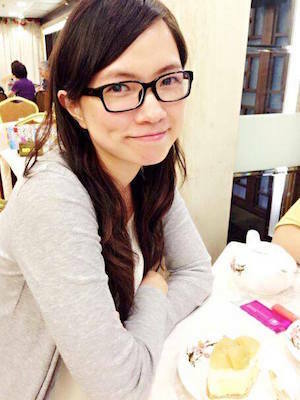 Julie just completed her graduate work in TESOL at Huntington University and is traveling home to Hong Kong today. Pray for Julie and for the other 20,000 we are trusting God will send out from China by 2030. To observe the Christmas and New Year’s holidays, the UB National Office will close on Thursday, December 24 and reopen on Monday, January 4. Evaline M. Macy, 86, wife of Rev. Vernon Macy, passed away October 31, 2015, in Hastings, Mich. She and Vernon, a former UB missionary in Honduras, were married in 1986. For a brief time they pastored in Michigan. The funeral was held November 4 at Hastings Baptist Church in Hasting, Mich. In 2016, we will hold summits for senior pastors and spouses of churches of all sizes (as was done in 2014). The denomination will cover all costs except for transportation and a few meals. All three summits will be held at the Hilton Daytona Beach Hotel in Daytona Beach, Fla.
For pastors of churches with an attendance of 300+. For pastors of churches with attendance from 150-300. For pastors of churches with attendance less than 150. More information on the UB website.